Casa Sorrento is a very nice independent apartment situated in few metres walking distance from Sorrento Town Center (Piazza Tasso - main square). Although it's closeness to the city centre, the complex is actually located in a very quiet an relax area surrounded by vegetation, lemon and orange trees. The apartment is supplied of air conditioning, Wi-Fi Zone, autonomous central heating with wooden beam ceiling. Casa Sorrento house is located in a residence (complex) furnished of wi-fi zone, shared swimming pool, solarium, outside shower, sunbeds and has a beautiful 'English green', car parking area, large garden with BBQ (Barbecue), pizza oven and gazebo (patio) with large table and chairs for your breakfast, lunch or dinner. Sorrento holidays booking apartments close to beache, piazza tasso, sorrento train station and Harbour (port). Only a few minutes walk to town center, but so quiet and peaceful. Very helpful owners live on the lemon orchid. Children loved the ducks and other pets walking around. Clean, modern, tastefully furnished and fitted. Very nice stay. Thank you! thank you and i hope to see you again! 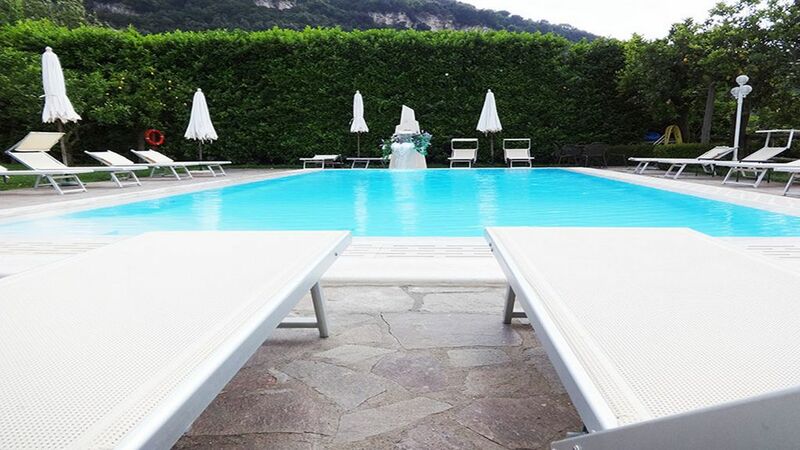 The property has lots of lemon trees and the feel of the Italian countryside, but you are only a few minutes’ walk to the main piazza, the train station or the ferry (for trip to Capri). The uphill walk from the train station to Casa Sorrento is about 15 minutes, but with luggage it can be difficult. We are all in our 60’s and made the walk, with luggage and backpacks, but it wasn’t easy. The trip back to the train station (downhill) was a lot easier. We took day trips to Capri, Pompeii, Herculaneum and the Amalfi Coast. We also walked around Sorrento several days, but would have enjoyed even more time. It is a beautiful city and the people are very warm and friendly and always very helpful. We all want to thank Antonio and his family, and Luigi and Alex for a wonderful week. They were all very helpful and made us feel very welcome in their country. The Italian family lives on the property and will assist you with anything you need. They will arrange for a car, a taxi, suggest a great restaurant or just answer a question. We hardly ever saw them, but when we needed them they were always available. We spent three weeks in Italy, but the week at Casa Sorrento was the most enjoyable. We hope to return again soon. Great spot in southern Italy! We just returned from spending a week at Casa Sorrento at Residence Santa Lucia. Antonino, his wife and everyone else involved were great to deal with and always available when we had questions or to inquire if we needed anything. We did not need a car and could walk downtown easily or to train station or port for Pompeii or Capri. It is a great place for a large family gathering as there are several separate apartments on the property. thank you, thank you fo your review!! !